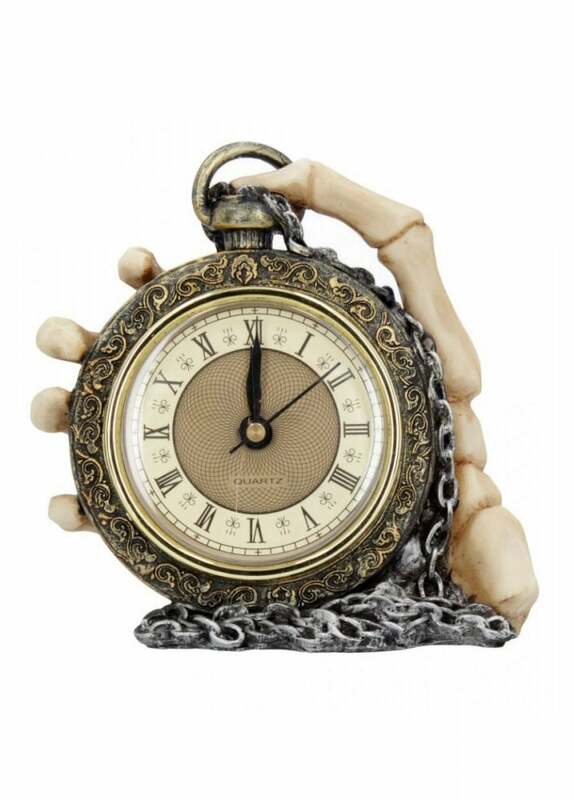 The skeleton hand clock brings macabre oddity to any room. Fashioned on an antique pocket watch, the About Time Clock is held by a hand painted skeletal hand. Cast in resin this gothic clock is great for any one who wants to cheat death!